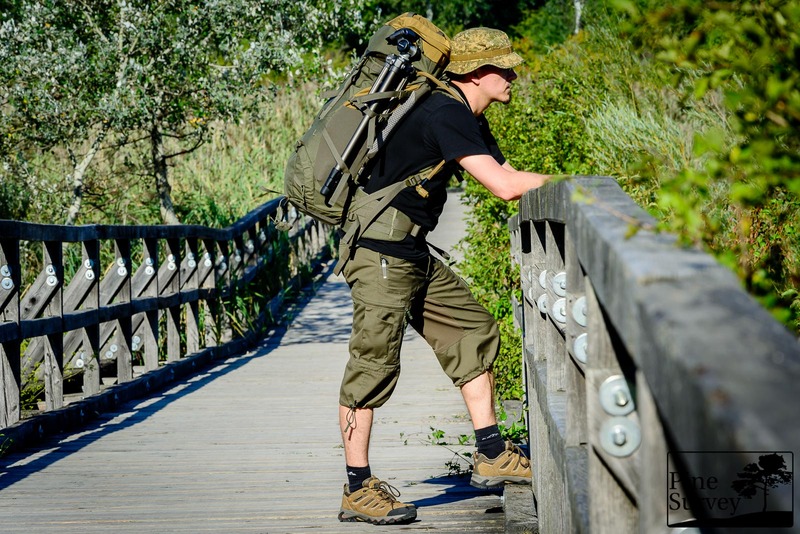 Recently I introduced the Tasmanian Tiger Tac Pack 45 to you guys in this review. I apologize I was not able to deliver on Part 2 sooner, but as always “life” got in my way. The delay had its merits though, since I was able to use the pack more extensively in the meantime. With this review I want to take a closer look at the load distribution system, the warrior belt as well as share my observations on manufacture and long term use. I can tell you right now, that I am still very satisfied with the pack and really learned to love it and its versatility. 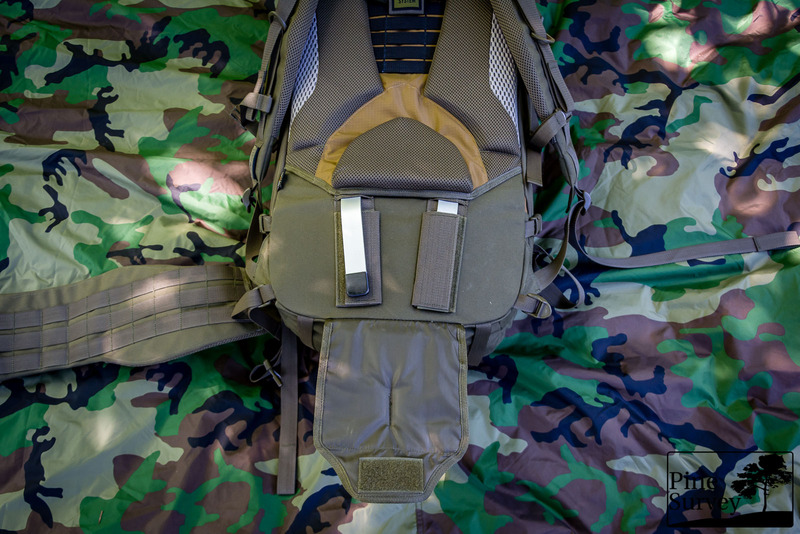 The V2-Plus load distribution was designed for medium to heavy loads as well as with the option in mind to carry the pack without the waist belt, in case the user is wearing fully equipped chest rigs or assault vests. The whole back is padded very thickly, creating air channels for circulation as well as establishing comfortable contact points on the back of your shoulders and the lumbar area. The backside is shaped concavely to increase air flow as well as comfortability. Inside the backside there is a frame sheet as well as two slightly V-shaped aluminum bars – hence the name of the load distribution system. The aluminum bars inside the backside. 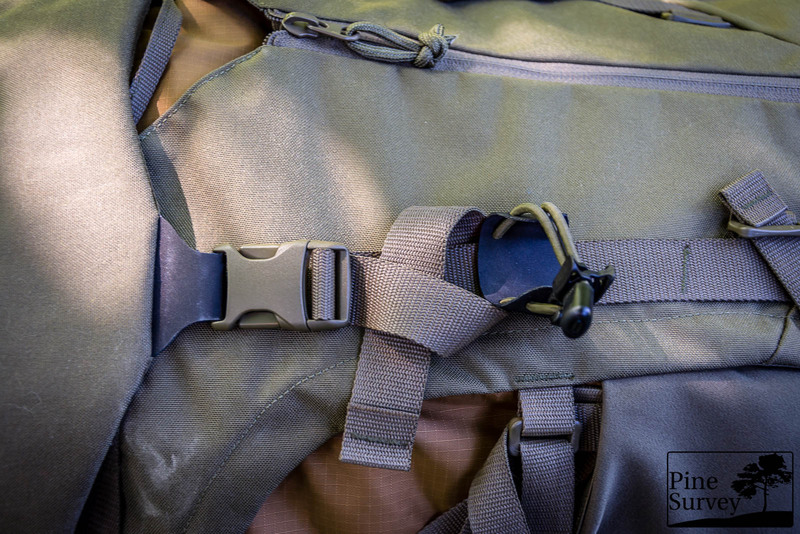 These two aluminum bars transfer the weight of the pack directly to the waist- (or in this case) the Warrior Belt. In doing so the comfort in carrying the pack increases immensely as you can imagine. 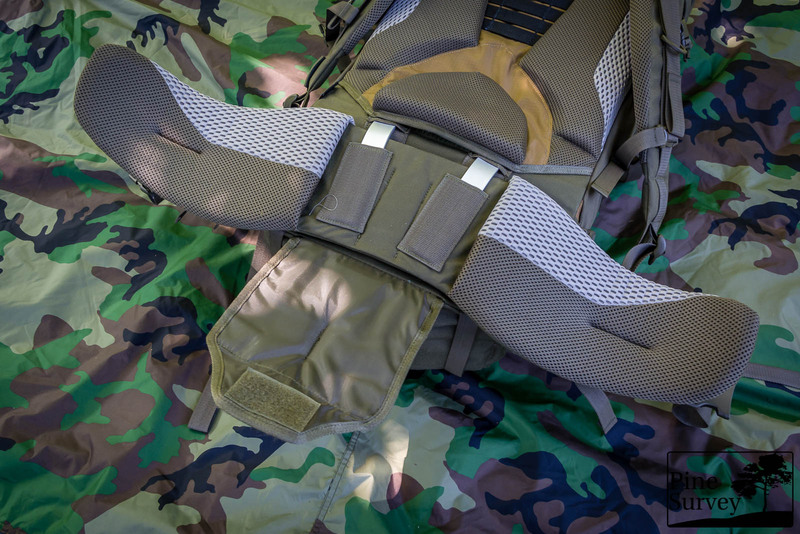 If necessary the Warrior Belt can be detached and the aluminum bars either fixated with velcro underneath the lumbar padding or be removed entirely. The shoulder straps are thickly padded as well and ergonomically shaped. They feature a sternum strap and D-rings on each side to fixate or attach gear. 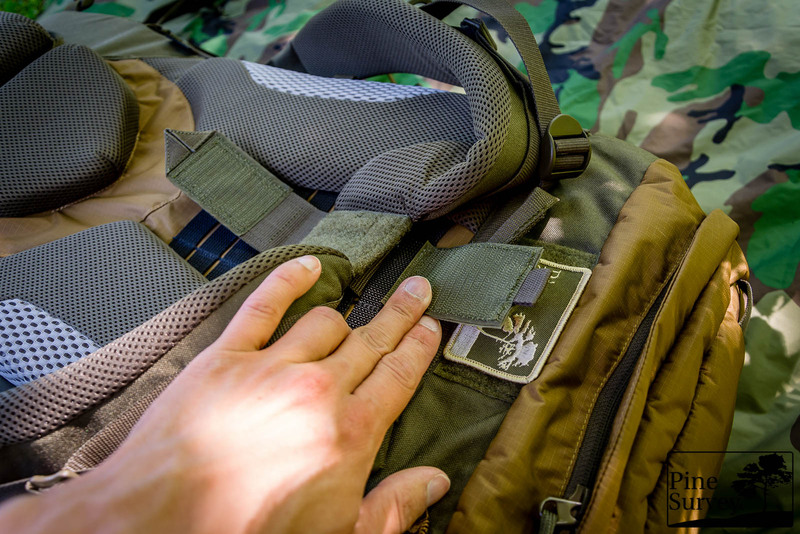 The attachment of the shoulder straps to the backside of the pack can be modified to the users height. The system should be well known since it is being used by various companies and can be find on lots of packs. 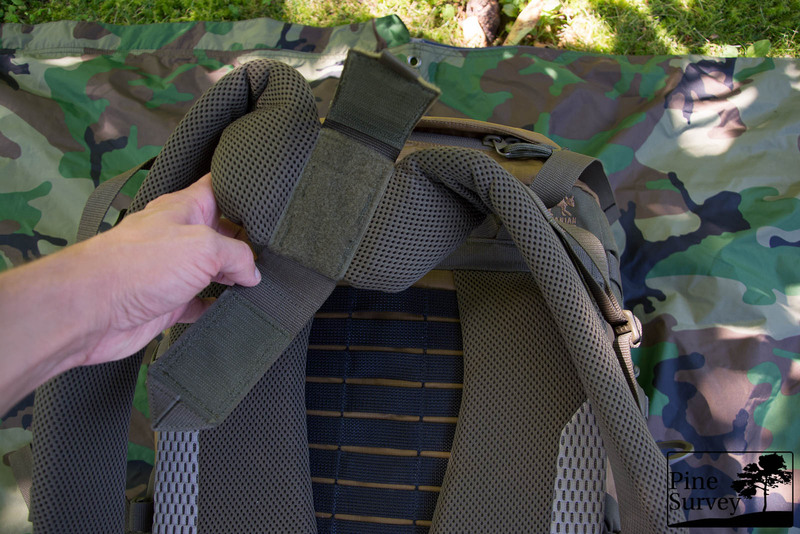 A detail worth mentioning is, that on this pack the highest row of webbing can be used to attach the shoulder straps. I have seen older Tasmanian Tiger packs who were built in a way that this particular row was not usable. Seems like there was a bug fixed. Adjusting the shoulder straps, using the highest row of webbing. 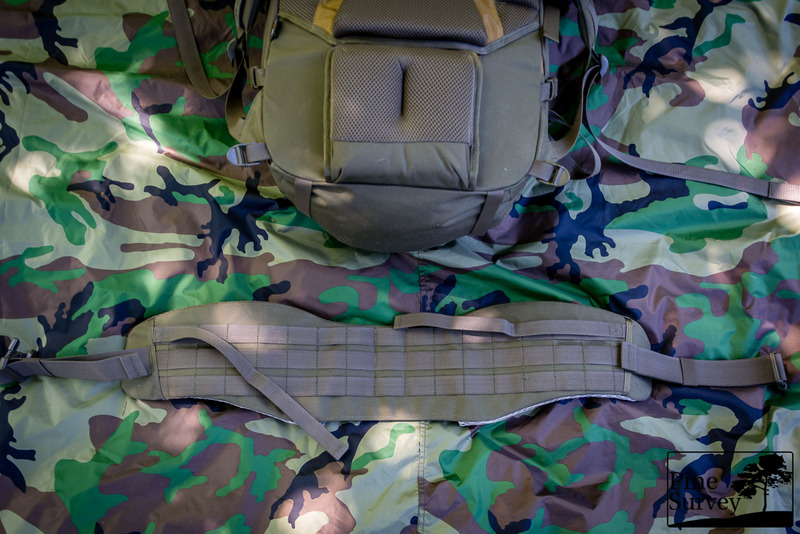 As mentioned before the Warrior Belt is part of the V2 Plus System to carry the pack. 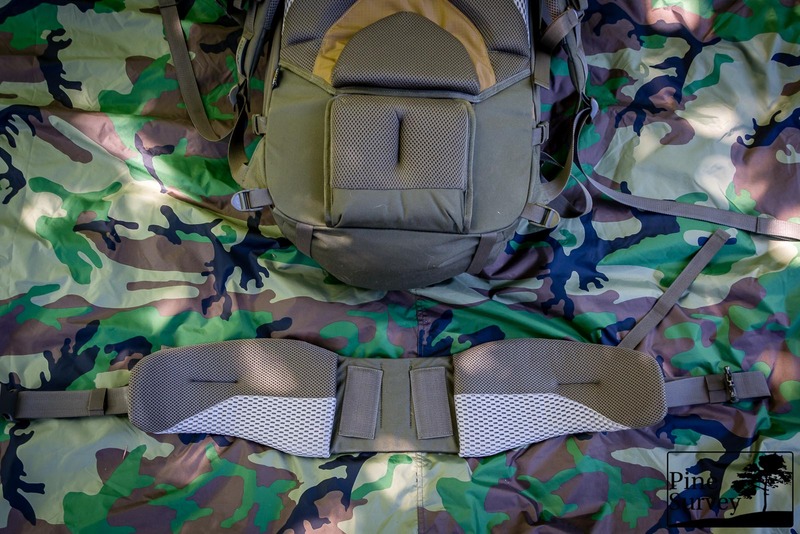 It is easily removable since you basically only have to loosen the velcro underneath the lumbar padding, detach the aluminum bars and two straps. These two straps need the longest attention though. For some reason Tasmanian Tiger did not use side release buckles on them but webbing adjusters. Therefore you have to fiddle around a little bit and don’t have the possibility to just let the pack fall off, if you want to use the warrior belt in combination with the pack. If you take a look at the belt itself you see that there are plenty of MOLLE areas available. 15 channels on 3 rows to be exact. The belt is padded as thick as the rest of the backside of the pack, featuring small and large mesh material. I have not used the Warrior Belt as such, and therefore am not able to give you any insight on its usability. For that I apologize. Nevertheless I hope to have given you some idea about it – enough to decide for yourself if it is of use for you or not. Actually I could keep this part of the review short since I have yet to find a piece of Tasmanian Tiger gear which does not fit my high standards of manufacture. As with all the other gear from this company, I could not find a mistake in manufacture, any loose or crooked threads. 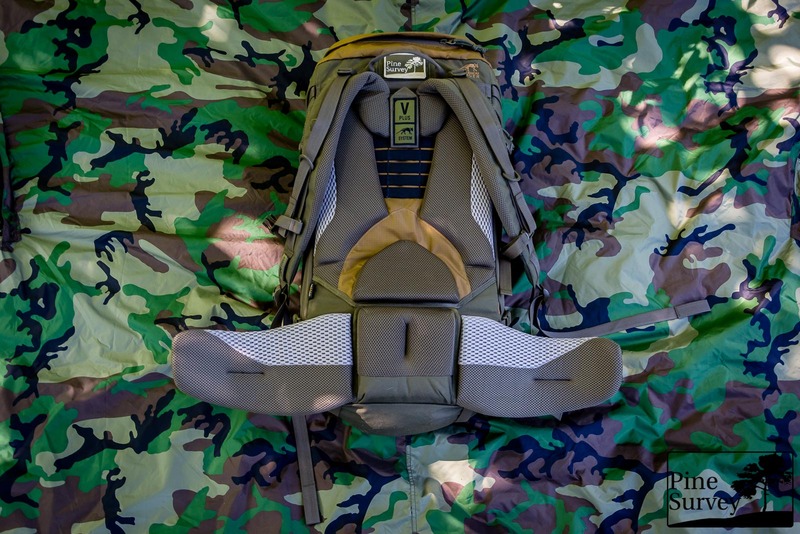 The stress points are reinforced and the use of new materials gives the pack even more versatility, while maintaining quality. The stretch material on the side pockets hasn’t let me down so far, which says a lot considering what I was stuffing inside all the time. Overall the materials used are high quality and leave no room to complain. So far I have used the pack on various occasions reaching from everyday travel in trains to medium marches up to 15km in the summer heat. During all this time the pack not only carried comfortable, but proved to be very versatile. 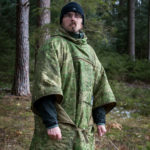 The air channels in the back and the thick padding proved to be very comfortably during my last camouflage comparison, when a friend of mine and myself covered around 15 km in the summer heat. On the picture you can actually see the contact points of the padding to my back. The rest of the shirt was dry because the air channels were working properly while the padding absorbed the moisture of my sweat in such an extend that I didn’t even feel sweaty. Another observation would be the flat profile of the pack. It is designed to be wider, covering basically the whole area of the back, while not being very deep in profile. So it is extremely practicable in narrow and cramped spaces – from dense wood to narrow train aisles. The Tac Pack series were a nice surprise for me when I first saw them. Especially the TT TP 45 quickly stole my heart and still is my favorite pack in this volume size. The versatility surprised me, to be honest. It is not just another mid sized backpack. There are plenty of details that make this pack stand out. The fusion of military and civilian features was a good decision by TT and as far as I know this is only the beginning. 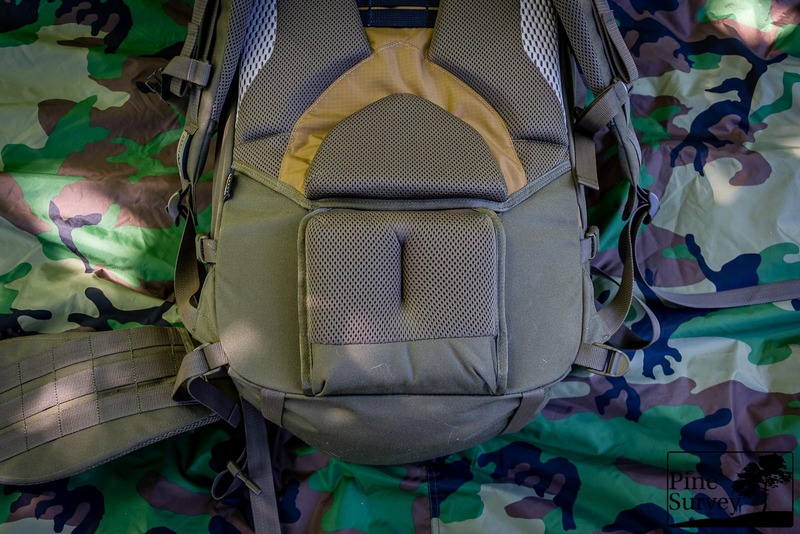 The lightweight materials in connection with sturdier buckles are a trusty combination. 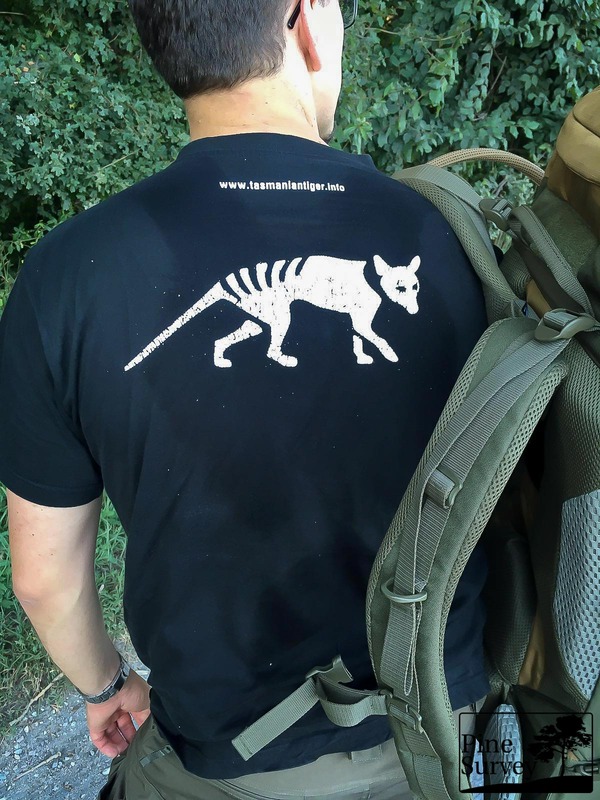 The V2 Plus System works very satisfactory and the quality of Tasmanian Tiger is top notch. And even if it is very superficial – the two color tone of the pack sold it to me. The olive drab tone is close to RAL7013 and Ranger Green and the Coyote color might come off as quite bright on some pictures but is indeed true to color in real life. 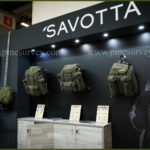 Additionally I only received positive remarks from my friends who took a look at the pack – and their background is as much a fusion of civilian and military life as is the line up of the Tac Pack series. With that being said I hope I was able to give you a decent insight into the pack.